San Andreas: Howto "Adding Cars"
San Andreas Mod Installer (SAMI) allows you to install mods and custom vehicles made for GTA San Andreas without having to edit the game files yourself. SAMI practically does all of the work for you, which makes mod installing (and uninstalling) very simple. 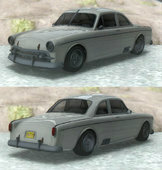 This Howto shows how to add or replace original cars with a new car which you have downloaded. To do that we are using the "IMG Tool". By using this method you avoid a bug, which appears when you are using "delete". First of all, go to the installation folder of GTA San Andreas and enter the data folder, which contains the files you search for. You need to open each necessary file with a text editor and search for the lines, you need to replace. After that, just save the changes and close. Done.